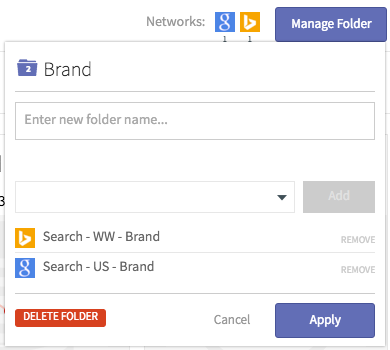 Folders are AdStage's campaign level organizational tool. They allow you to group campaigns (cross-network) into Folders. Once organized into Folders, you are able to see rolled up data clearly in a dashboard, filled with tables, graphs, charts...etc. We designed folders for all advertisers, from in-house to agencies. 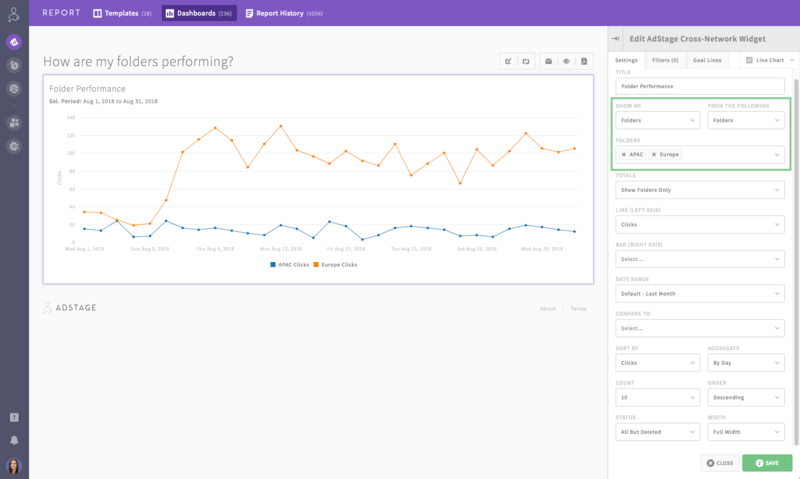 One of the largest benefits is dashboard visualizations focused by objective. The best practice is to organize campaigns towards a single objective, ex: Lead Generation, Form-Fills, Conversions. 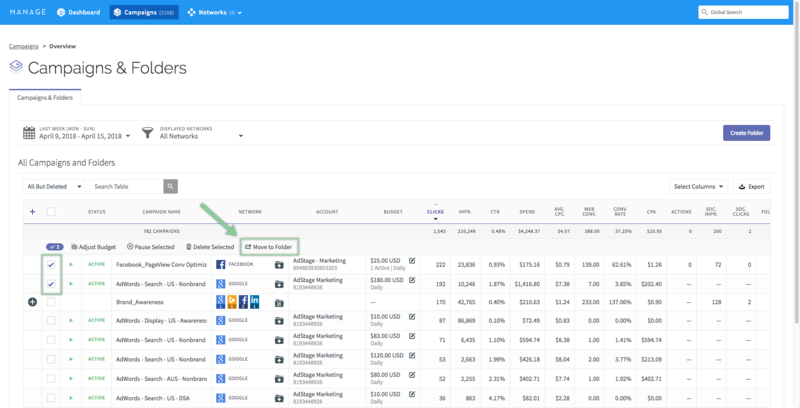 Then you can easily compare successful cross-network, campaigns, ads, keywords...etc. Then, quickly jump into any campaign to mimic positive performance. In the Campaigns tab, click Create Folder. Then, search for the campaigns you would like to group together. In the Campaigns tab, check the campaigns you'd like in a folder and click Move to Folder. 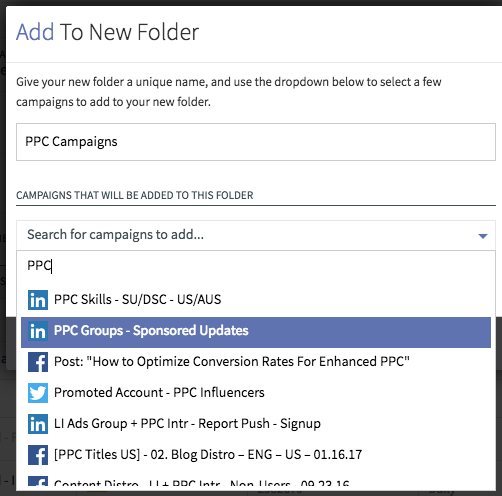 You will be given the option to create a new folder or add these campaigns to an existing folder. Once your Folders are ready, use them in Report to easily filter views to the campaigns you're focusing on. A campaign can live in one folder at a time. If you add a campaign to more than one folder it will move from the existing folder to the new folder. Folders are saved at the user-level within your AdStage account and are not shared with other users in your organization. This means that each user will set up their own folders.